In 2012 Constructionarium Ltd asked Think Up to look at creative solutions for bringing the Constructionarium experience to a wider audience. 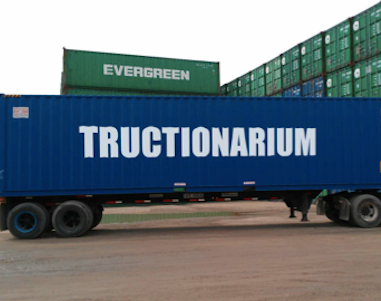 Our solution was to take Constructionarium on the road by creating a fleet of six specially-engineered shipping containers that would unfold to reveal a mini version of a Constructionarium project. The idea was inspired by work that our sister company Expedition did to design an antarctic research station. The containers would be based at a depot in the Midlands. Universities interested in particular projects would order that collection of containers and by means of the UK’s extensive logistics network, those containers could be delivered to their campus. A supervisor from a network of regional facilitators would then be called upon to facilitate the event. Finally the Hi-Abs would return, pick up the containers and take them on to their next destination. Read the full proposal below.